Cheap and Leica are not often seen in the same sentence. When thinking about the red dot, we usually imagine how many months or even years it would take to get one of those iconic rangefinders. But there’s also another way to enter the Leica world without robbing a bank or selling your partner’s car! 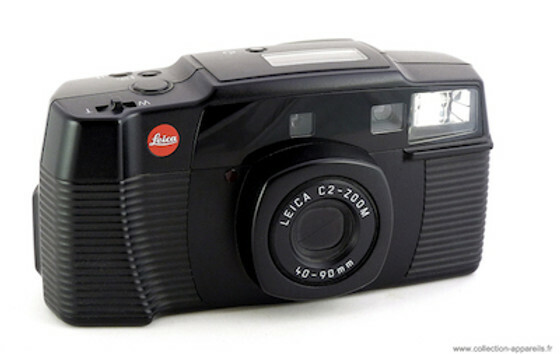 With the first point and shoot cameras showing up in 1977, it took them a few years to get into the 35mm compact game but eventually Leica released a total of 14 point and shoot film cameras from 1989 to 2006. 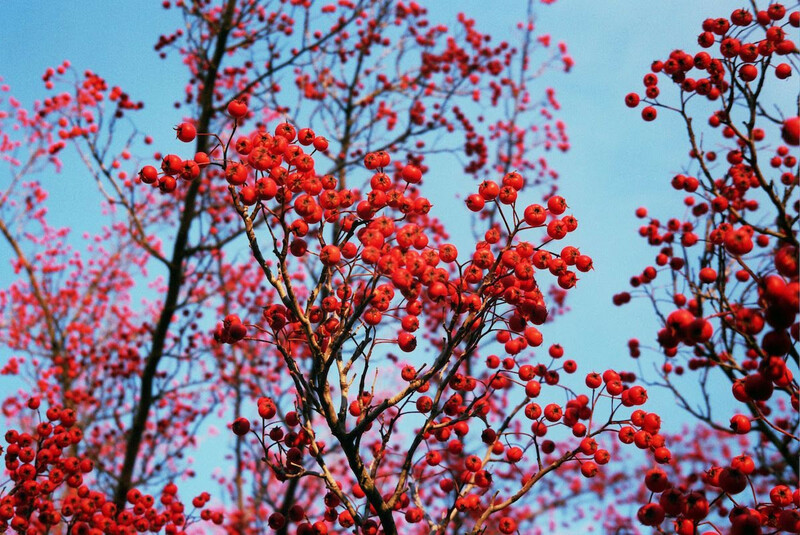 All these cameras share the essential features you can expect from a 35mm point and shoot. 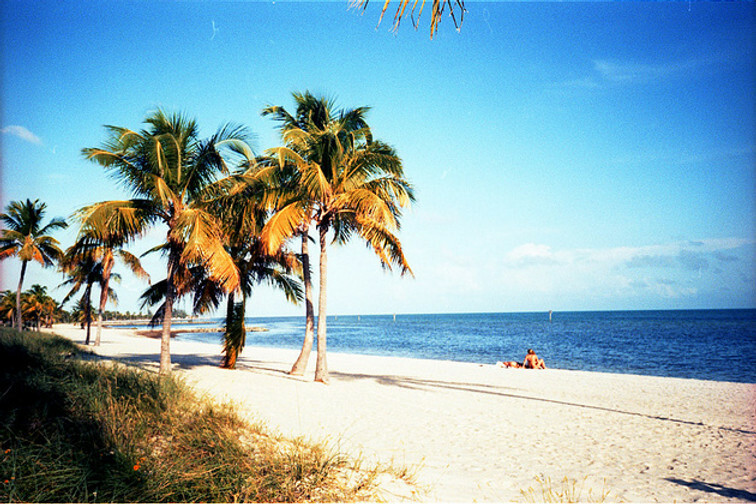 Just press the shutter and the camera does the rest for you. Focusing and exposure are fully automated. Some high-end models give you the option to manually select aperture, shutter speed, focus, exposure compensation but that’s about it. However they are aren’t equal in terms of build quality, user experience, manufacturers and you guessed it, price tag. If you are on the hunt for a decent everyday shooter and can live with the idea of shooting a Leica made in Asia rather than Germany, there are some really good options out there. Those who prefer the Deutsche Qualität, will have to dive a little deeper in their pockets to get access to one of those premium titanium made compacts. But don’t let their prices fool you! It’s not because you opt for the most expensive of the line that you will get the best shooting experience. We will see later that some of the high-end models can have major drawbacks which make them very difficult to shoot with. 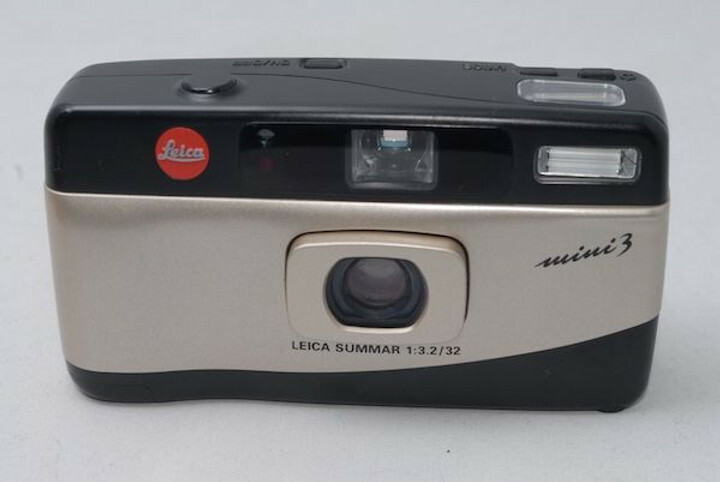 Now let’s look at some of the best point and shoot ever made with this list of all compact Leica film cameras ever made, and hopefully this will help you make the right decision before buying a pricey but eventually disappointing camera. 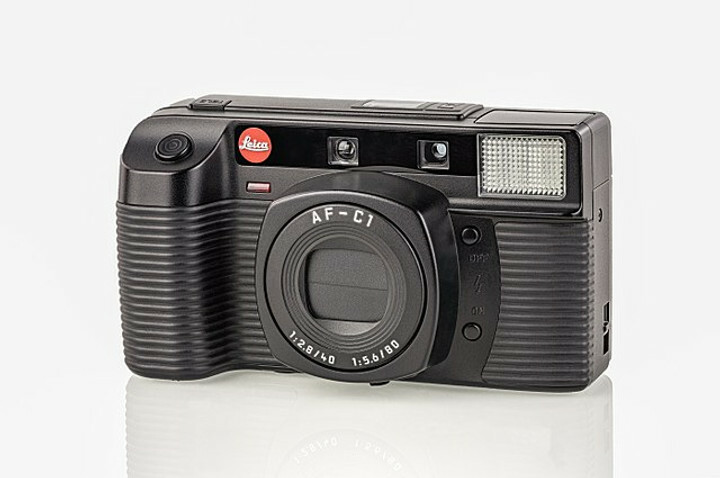 The Leica AF-C1 was their first attempt into the point and shoot world. This camera is based on a cheaper Minolta AF-Tele Super launched one year earlier in 1988. They both share a smart feature on their lens that lets you choose between a respectable 40mm f/2.8 or and a less popular 80mm f/5.6. This is made possible by a teleconverter that doubles the focal length but this is not a zoom lens! Also, need to mention the Minolta comes with a 38mm f/2.8 instead of the 40mm. By default, the lens is set on 40mm but there’s a switch right above the shutter button to change focal. When you select the 80mm, it enlarges the viewfinder from 0.5x to 1.0x magnification and moves the flash upward to expand its reach a little further. Switch back to 40mm or turn it off and everything comes back into place automatically. The camera is a bit noisy and focusing a bit slow but they seem to be reliable cameras as I couldn’t find any common issue reported. 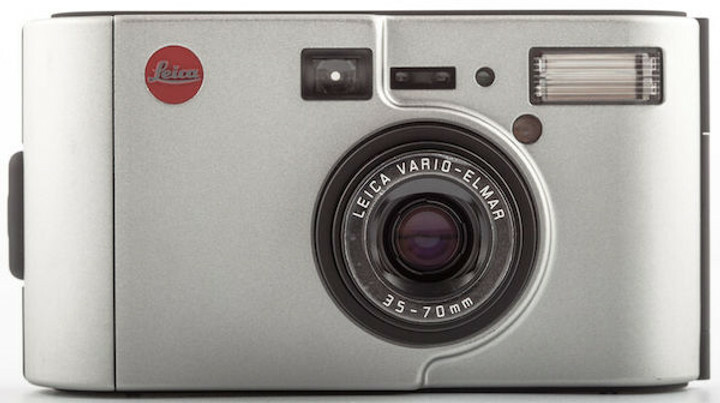 Even if it wasn’t made by Leica themselves, you can feel their touch in the design and aesthetics refinements. For a rebadged camera and first attempt at point and shoot, it packs fairly good features. A great buy if you are looking for a first inexpensive point and shoot. Price ranges from 100 to 250$. 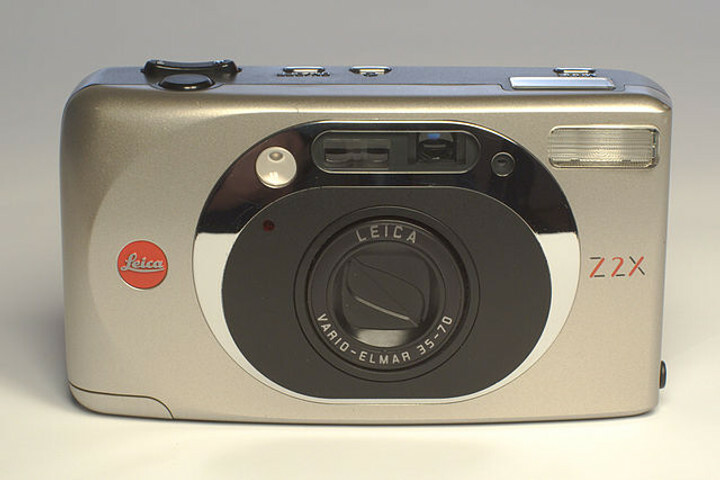 The Leica C2 Zoom is also another Minolta copycat of the Riva Zoom 90c. Do not confuse with the completely different Leica C2 launched a decade later. This one comes with a real zoom lens going from 40 to 90mm (38-90mm for the Minolta). But like most entry level zooms the maximum aperture suffers, especially with an impractical f/7.7 when zoomed all the way to 90mm. Anyway the lens seems to perform best at 40mm so let’s pretend that’s just a fixed lens and take it for what it’s good for. One curiosity with this camera is Minolta who tried to push the automation one step further with a somewhat annoying featured called “auto-zoom”. When aiming, the camera will try guessing where’s your subject and (loudly) zoom in to fill in the frame with whatever you are pointing it at. I salute the intention as you often hear to fill the frame with the subject for stronger compositions but most people seem to hate this feature, which obliges you to zoom out for almost every shot as the camera isn’t as smart as it aimed to be. The C2 Zoom is one of the cheapest Leica point and shoot with prices going from 60 to 200$. The Leica Z2X takes its name from the Zoom 2X 35-70mm Vario-Elmar lens. Along with a comfortable and large viewfinder, this lens is clearly the strength of this camera. Zoom range has been kept short to maintain good performance throughout the entire course. Sure the f/4 -f/7.6 variable aperture isn’t impressive but it gets the job done to deliver contrasty and sharp images. 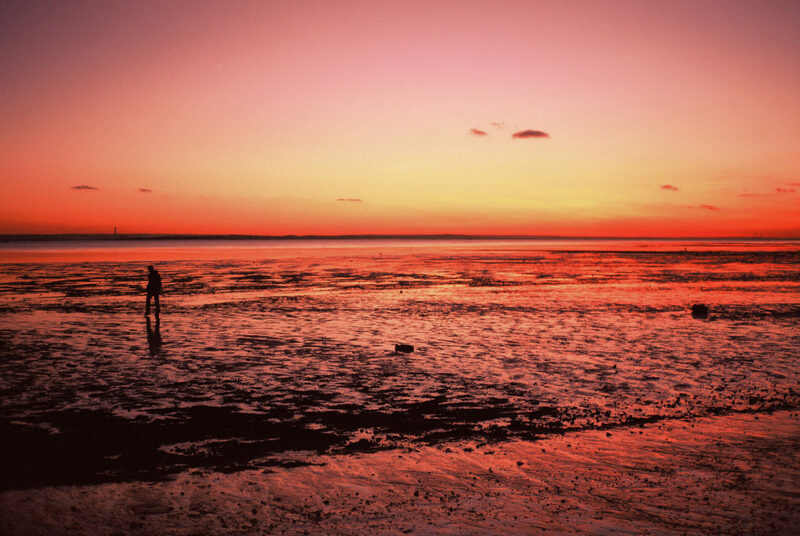 Colours are rich and this where you can feel the Leica touch. Cool looking camera, especially for the Jaguar Limited Edition (1000 units), that will get you covered for most situations. Downside seems to be the half-finished body and overall build quality, a bit below Leica’s standards, but still a great everyday carry around camera or first Leica. Price are relatively affordable going from 100 to 300$. When I saw the Leica CM for the first time it was an instant crush for this perfectly designed compact camera. Directly inspired by the M series, I challenge you to remain indifferent to this camera. Unlike the cheaper plasticky Leica, this one is made of titanium in Germany, by Leica themselves, with the build quality you can expect from a “real” Leica. Unfortunately, the bromance didn’t last long enough to reach the honeymoon phase. 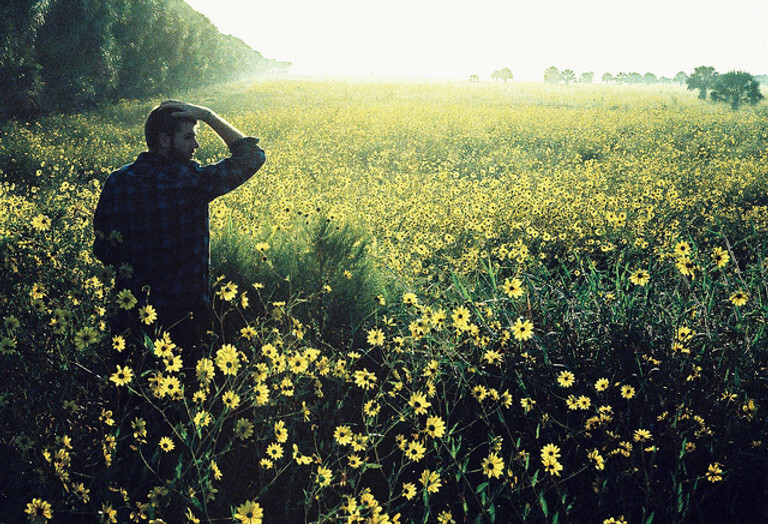 Reality came back to hit me hard in the face when I started shooting with the CM and I sold it after shooting only one roll. Sure I read a few reviews before laying down the cash but thought that people were exaggerating with their complaints. THEY WERE NOT !!! I’ve had quite a few point and shoot and even if their viewfinders are nothing close to my Leica M6, this one is one of the worse I’ve ever used. The second thing I don’t like about the CM is the ON/OFF switch. It’s awkwardly placed at the front, right beneath the lens, and it’s really stiff to move. 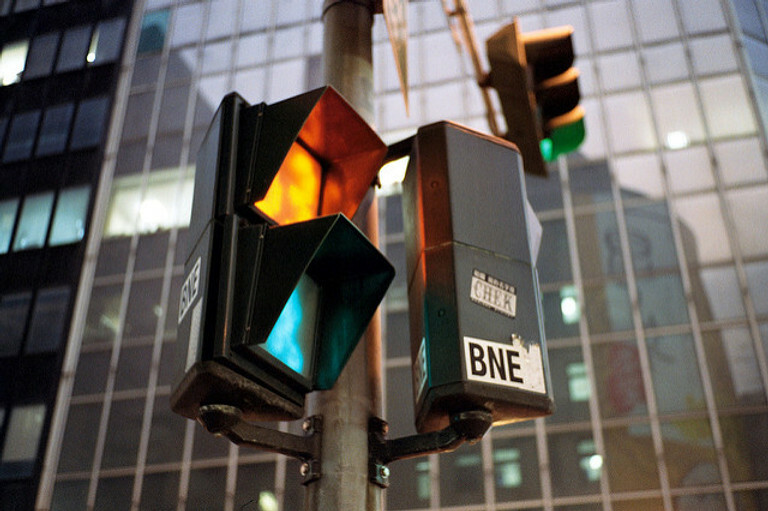 Once you switch is on, the lens takes ages to come out…not really what you’d expect from a point and shoot. Sure having a good glass is a considerable advantage but I’d rather have a camera that makes it easier to compose my shots. It still remains a solid point and shoot to have in your stable if you can live with its tiny viewfinder. You’ll also benefit from the stellar 40mm Summarit and all the refinements from the last generation of point and shoots ever produced by Leica, but unfortunately that’s not enough to me. 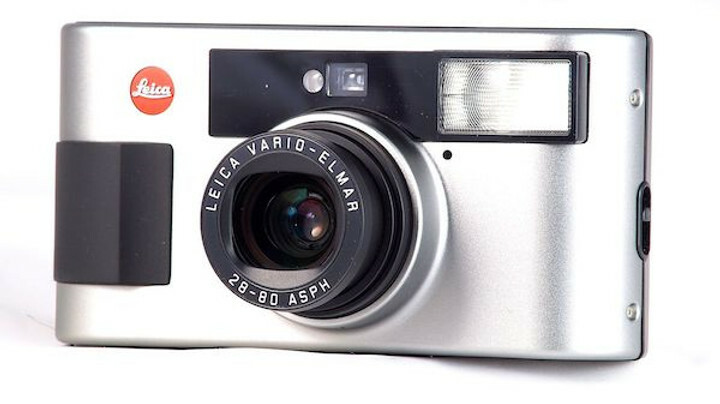 Because it’s rare, the CM is the most expensive Leica point and shoot with prices going from 800 to 1900$. The Leica CM Zoom is almost identical to the standard CM but instead of the fixed 40mm, it comes with a Vario-Elmar 35-70mm f/3.5-6.5 Leica zoom lens. While the CM shines thanks to its 40mm f/2.4 Summarit lens, the zoom version isn’t as spectacular. 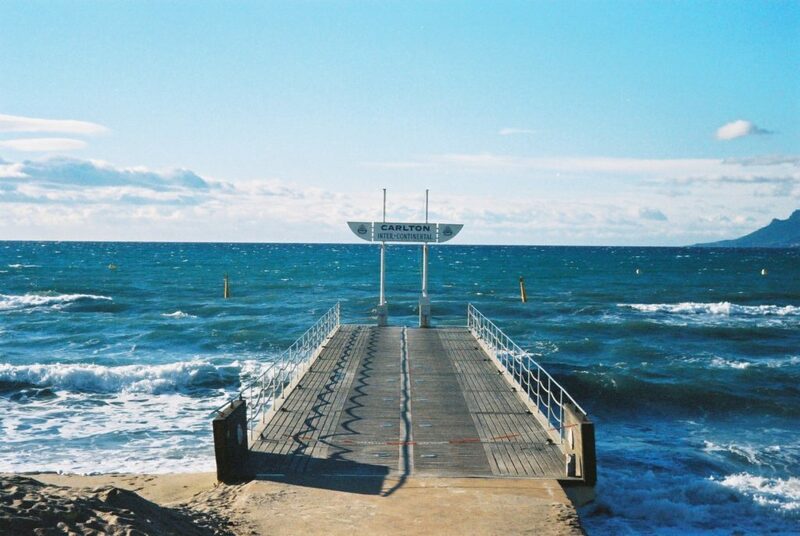 It still delivers great contrast and sharpness but it suffers from heavy vignette, distortion and is prone to lens flare. One improvement though is the system to turn it on. Instead of that annoying switch on the CM, you just need to twist the lens to turn on the camera and adjust your focal length. This is similar to the Contax TVS on which you extend the zoom to power it up. It’s more convenient to use but that means your lens won’t collapse into the body like on the CM. That makes the CM zoom a little thicker (58mm VS 43mm) and the lens front element is more vulnerable as it needs a lens cap to protect it from external calamities! Unless you are eternally attached to Leica, my suggestion would be to look at the Contax TVS instead. It offers similar specs and a bigger finder at half the price of the CM Zoom. Price ranges from 700 to 1000$. 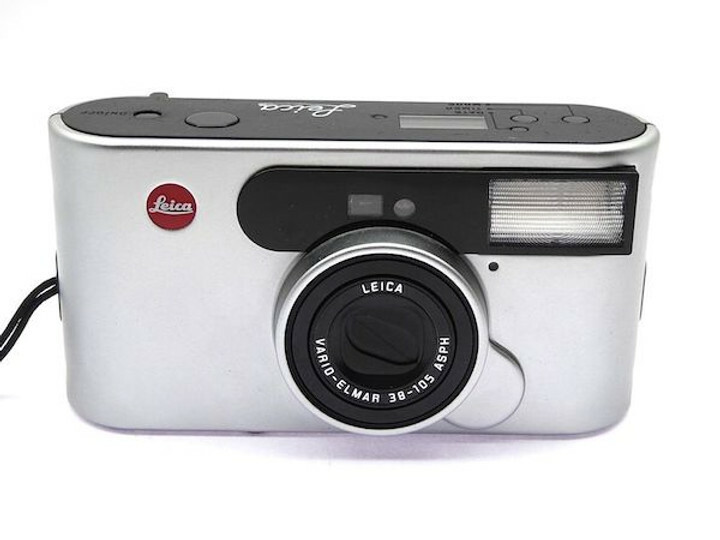 The Leica Mini, as its name suggests, is a very compact and portable point and shoot. Packed only with the essentials features and an all-around 35mm f/3.5 lens, specifically developed by Leica, it will be the perfect companion to bring along in the streets. It’s fully automated, meaning that the camera takes care of everything for you but there’s still the option to lock the focus and exposure by holding the shutter release button which can be handy to shoot with subject off-center or in difficult light situations. There is also an option to lock the focus at infinity (useful when shooting landscape or through windows). What I’m not fond of is the lens front element that stays always exposed. When you switch off the camera, the lens will collapse into the body but the glass stays unprotected. There’s a built-in UVa filter that’s supposed to protect the actual front element but I’m not sure I’d be quiet having a lens always exposed but if you’re careful with your gear that should be a big deal. 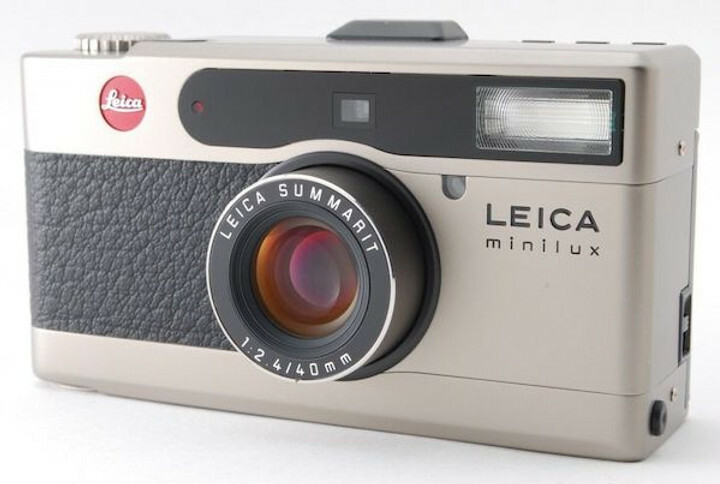 You’ll find a Leica Mini from 170$ to 320$. 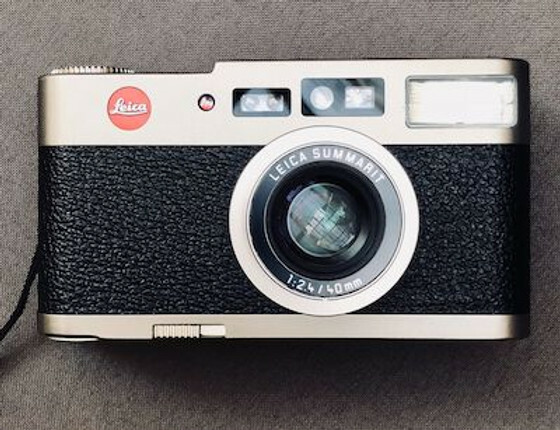 The Leica Mini II shares the same design and lens that the first version but comes with a few refinements that make it a little more appealing. The most notable improvements are the red-eye reduction, faster autofocus, +2 stops exposure compensation. 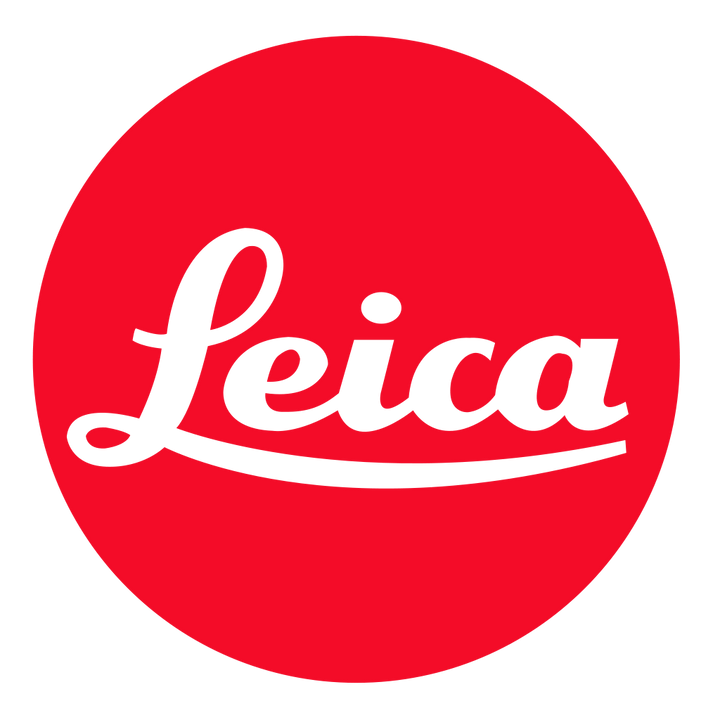 Both versions have been made by Panasonic in Japan but as mentioned earlier, Leica had been involved in the lens design. For a mid range Leica this 35mm f/3.5 ELMAR lens gives decent results and is sometimes compared to the famous Yashica T5. Finding a Leica Mini II can be tricky as they are pretty rare and there’s very little information available online about this model. They show up on eBay from time to time and usually go between 130$ and 180$. 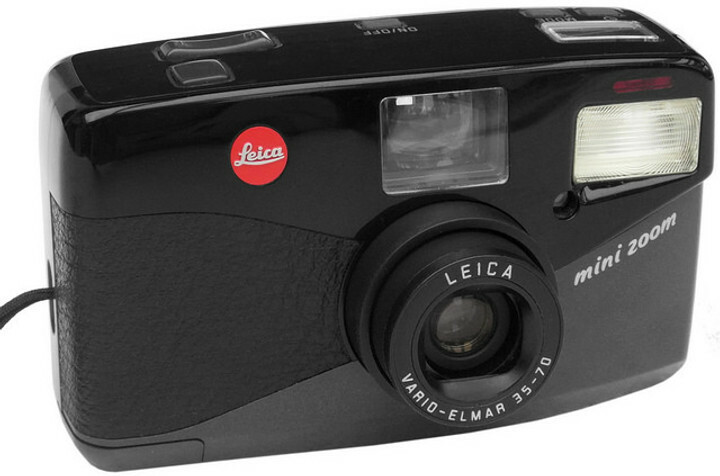 The Leica Mini III is the most advanced from all the Mini family. It benefits of all the features of the Mini 2 but stands out with an upgraded 32mm f/3.2 SUMMAR. There’s also very little information available about this version (couldn’t even find the manual) but the lens seems to be the highlight and is sometimes compared to the Yashica T4/T5. The Mini III also stands out with a fancier design but I wish Leica would have taken an extra step and put in a lens cover instead of that build-in UV filter. Not a big deal if you are careful and always put it back in a case. 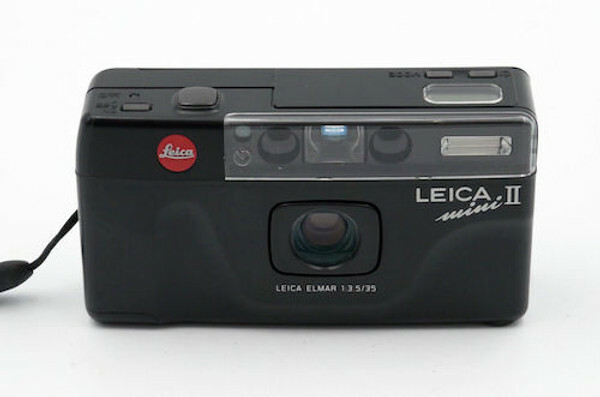 Finding a Leica Mini III can be even more challenging than the II and usually go between 150$ and 250$. 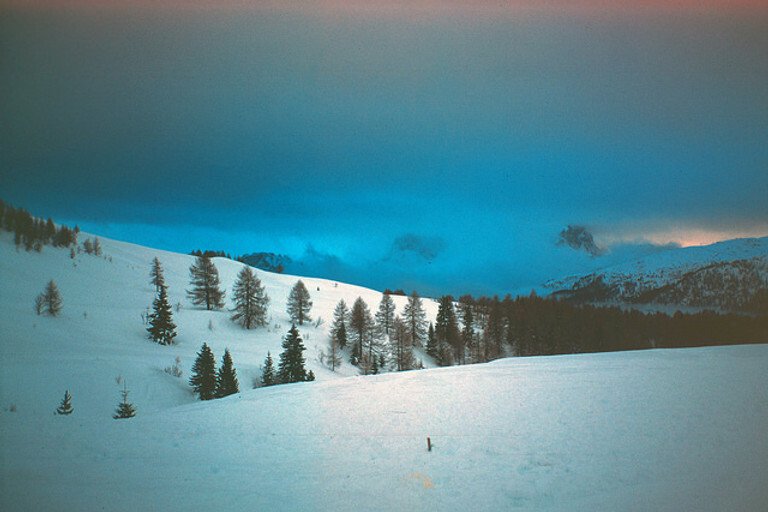 The Leica Mini Zoom is probably the most interesting from the Mini series. Zoom lenses usually don’t get my favors but this 35-70mm f/4.0-7.6 Vario Elmar seem to be surprisingly sharp. Sure its variable aperture won’t compare to fixed lenses but it can cover most situations for the casual shooter who wants good image quality. 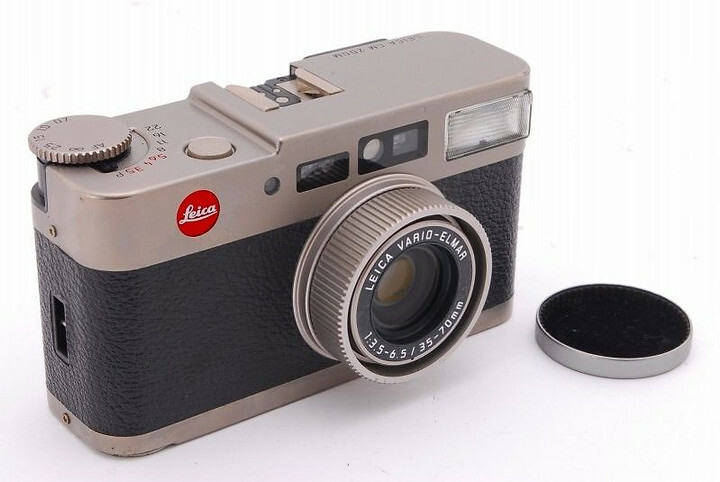 While the lens itself was designed by Leica, the camera was assembled by Kyocera in Japan. In case it’s the first time you hear about Kyocera, they are the company that made the famous Yashica T series which are some of the best point and shoot ever made thanks to their Zeiss glass. If you want to see what’s on the other side, check this list of all 13 Point & Shoot Cameras with Zeiss Lens. Back to the Mini Zoom, it’s a bit bigger than its other siblings but photographers with larger hands will probably get a better grip on it. This larger body also packs some useful features like the red-eye reduction, auto flash off, infinity focus lock and +2 EV exposure compensation. Aside from this larger format, one of the major grips against this camera is the noisy motors to activate the shutter, winder, and zoom but hey that’s not so bad for a mid-range point and shoot! With approximately 150.000 units produced, the Mini Zoom is the easiest one to find but prices are slightly higher than the other versions and usually sells between 140$ and 320$. 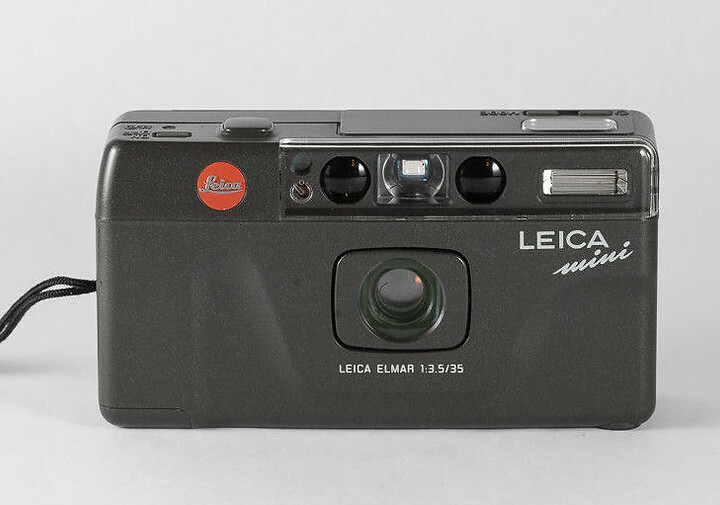 The Leica Minilux is without a doubt the most famous Leica point and shoot, but not for the good reasons! The Minilux takes it fame from the E02 error caused by a weak ribbon cable between the body and the lens, which will eventually break and leave you with an expensive paperweight. Hopefully, there are some people who know how to fix the E02 error, like this guy on eBay for 100$, by replacing the faulty cable. Another notable failure of the Minilux is the ridiculously small viewfinder (0.35x magnification with a lame 83% coverage), which makes it almost impossible to see through. I honestly don’t understand what went south when they decided that a pinhole-sized viewfinder would do the job for pro/enthusiast photographers. The last complaint that often comes up is the quirky menu system which seem rather complicated to go through and won’t remember a thing when it’s switch back on. It’s really a shame that all the efforts put into it have been flushed away by these issues because the Minilux could have been one of the greatest premium compacts ever made. Hopefully, this hasn’t stopped people from making great images with it, and yes, it’s not all that bad otherwise its lifespan would have been much shorter than those 11 years. But what made it last so long if it was so bad? Well, true it looks great with this titanium body and this leather grip but for me, it’s all about the glass. The astonishing 40mm f/2.4 SUMMARIT is razor sharp, renders colours beautifully without over saturation and adds a sense of depth that Leica glass is famous for, especially on those black and white shots. This lens is so good that there’s even a kit to convert the 40mm Summarit to M mount! If you’re ready to take the jump on the Minilux, they usually sell between 500$ and 800$ (around 1500$ for the stunning black version). Another option is to buy a faulty one for around 200$, which tend to come up quite often and try getting it repaired. Few years after the Minilux, came out the Zoom version. You’d think that Leica would have taken the time to improve its weaknesses and make it one of the best zoom point and shoot…but regrettably that’s quite the opposite. The Minilux Zoom suffers from even more poor conception choices. The tiny viewfinder is still here, the E02 error too, it has a slower maximum shutter speed (1/250 VS 1/400), a removable lens cap and is 45g heavier. 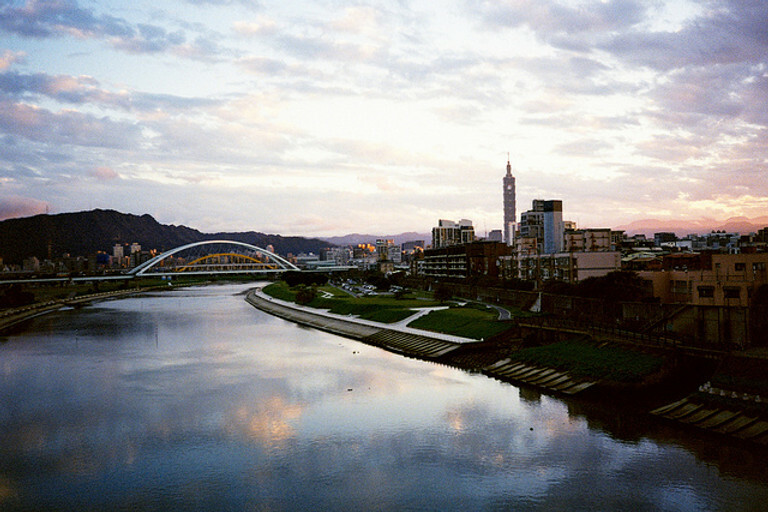 Other complaints are about the shutter lag and that it tends to underexpose in some situations. Put this together and you have probably the most underused point and shoot ever made. The good news is that most of them are still in great condition because people barely used them. By now you’ve probably figured that I’m not fond of the Minilux series but to be fair it’s not all bad. Even if it was made in Japan, the build quality is as good as you’d expect from a titanium made point and shoot. The lens was also designed by Leica and makes it a versatile tool to have in your pocket. From street photography to portrait, you can cover a wide range of situations with the 35-70mm zoom. Ok, the f/6.5 max aperture at 70mm won’t give you that crazy blurry background, but that’s already good enough to get some separation with your subject if you’re shooting portraits. Another good point is the price point. Even if it has risen over the past 2 years, you can still buy a Leica Minilux Zoom at a very decent price. For now, they sell between 350$ and 700$ for a mint new one. You can also get a black version for 700$ minimum. Directly inspired from the M series, the Leica C1 is arguably one of the most elegant and refined of all the family. Under its slick and minimalist aluminium body, you’ll find a very capable 38-105 mm f/4-10.5 VARIO-ELMAR ASPH Zoom that seems to be praised for its optical performances. The zoom range is divided 5 increments going from 38mm, 60mm, 75mm, 90mm, and 105mm. From sharpness to contrast or colour, the VARIO-ELMAR lens will get the job done, assuming there’s enough light to feed the anaemic f/4-10.5 aperture (in low light, don’t even think shooting at f10.5 if you don’t have a fast film!). That was for the good part, now let’s talk about the downsides. First, the larger body makes it a little less portable than most point and shoots but it’s pretty lightweight (260g) for a camera this size. The metal shell is also more vulnerable to dents and marks which can quickly ruin its classy design. Manual controls overrides are also very limited with only the option to disable the flash or set a +2 EV/Flash overexposure to correct the meter reading when shooting bright scenes (ex: snow or beach). Last bad point is about the tiny viewfinder, but better than the Minilux so it will do the job for an everyday camera. When you put all the weights in the balance, it still remains a well above average point and shoot. You can still score one for a good price but recent sales show that they are getting more expensive nowadays with an average price of 350$. 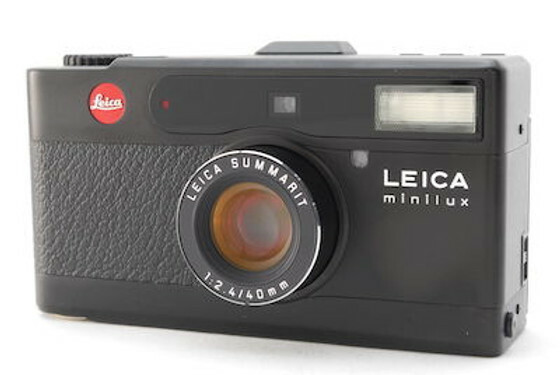 There’s also a black version that resembles my new Leica M6 TTL. The Leica C2 should not be confused with the cheaper Leica C2 Zoom. The C2 is also a zoom but it comes with a more standard 35-70mm lens (40-90mm for the C2 Zoom). The lens is also significantly better, even if a little slower (f/4.6-8.6 VS f/3.5 -f/7.7) but I’m always up to trade a stop for a higher image quality. Design wise, it looks even more minimalistic and benefit of the same premium build quality. It’s kind of a rare bird (only 30000 units produced) and there’s very little information or reviews available about the C2 but all voices tend to agree that’s an excellent point and shoot. The C2 is also smaller than the C1, which was one of its main downsides. Apart from that, there’s not much to whine about and if you’re lucky to get one for a good price don’t hesitate too long. They can be found from 150$ to 350$ but you don’t see many on the market. The Leica C3 reminds of the Contax TVS that I used to own and reviewed here. It comes with an optimal 28-80mm zoom range. 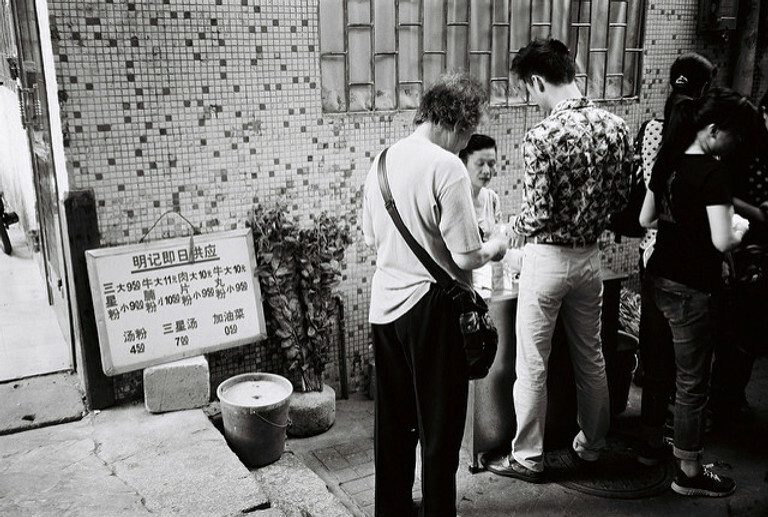 I often find 35mm too tight and love to have the wider field of view offered by the 28mm. It helps to create more dynamic in my images and often regret selling my TVS for that reason. It’s also praised for the rich colours and sharpness you can get out of this lens, especially at the widest. There’s a slight loss of quality when zoomed all the way in but that’s something to be expected from a zoom lens. They’ve also added a rubber grip on the front which is supposed to reduce the slippery metal surface and improve the handling. I personally don’t like how it looks but understand why it’s there. Another good point for the C3 is the adjustable diopter to adjust the viewfinder. Useful if you’re wearing glasses! The only thing I’d worry about it the limited max shutter speed of 1/350s (or even 1/300 depending on the focal range) but that’s a minor concern and will only affect if you’re shooting a fast film in plain daylight (not really an issue with colour negative film). It looks like the Leica C3 is still relatively under the radar and can be found at a very decent price for a red dot camera. As I’m writing those lines they are selling from 170$ to 400$ but with the recently revived interest for 35mm point and shoot, I wouldn’t be surprised to see a price jump over the new months.